Bloat, the boy-governor of the Rox, wanted to make Ellis Island a safe haven for Jokers, and made a choice to recruit the Jumpers, superpowered teen outcasts who could steal a man's body in the blink of an eye. 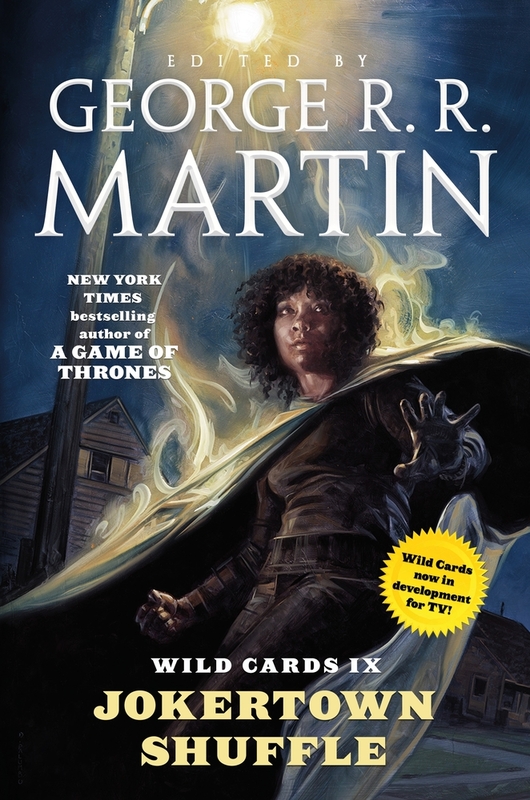 Edited by #1 New York Times bestselling author George R. R. Martin, Jokertown Shuffle features the writing talents of Walton Simons, Chris Claremont, Lewis Shiner, William F. Wu, Victor Milan, Stephen Leigh, Melinda M. Snodgrass, and John Jos. Miller, along with previously unpublished stories from Carrie Vaughn and Cherie Priest. GEORGE R. R. MARTIN is the author of the acclaimed, internationally bestselling fantasy series A Song of Ice and Fire, which is the basis of HBO's popular Game of Thrones television series. Martin has won multiple science fiction awards, including four Hugos, two Nebulas, the Bram Stoker, the Locus Award, the World Fantasy Award, the Daedelus, the Balrog, and the Daikon (Japanese Hugo).